CAUBO offers topical webinars on trends and issues affecting higher education administrators. With almost daily reports of intrusions, data breaches and cyber attacks, many organisations are unclear what approach to take to ensure their own security. Some view cybersecurity as a technical matter for the IT department to “fix” while others look to senior management and to the Board for answers. Whose role is it? Senior executives along with their Board Audit/Risk Chairs are invited to join Justin Fong, Partner Risk Advisory of Deloitte for this highly informative webinar. What are the sound principles of Board oversight on cyber risks including key questions they should consider. Board members and executives have distinct roles and responsibilities with respect to managing various risks. Cybersecurity is no exception. Is your institution adequately managing cyber risks? Join us and find out. 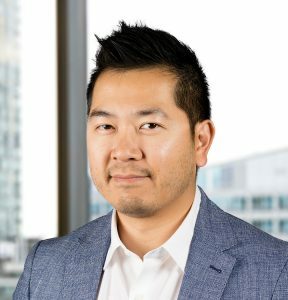 Justin is Deloitte’s Cybersecurity Leader for Western Canada. He has over 17 years of experience in Cybersecurity specializing in security strategy, complex program implementations/operations and incident response. Highlights include extensive work in the US, UK and Asia various sectors in Energy, public sector, high tech and financial. Justin is a NATO and Canadian Secret level status, a Certified Information Systems Security Professional (CISSP). His contributions include education to executive teams, boards and audit committees across the globe; he has developed the curriculum and materials for the IIA, Rotman/UofC Director Education Program, MacKay CEO Forums and other associations. Team participation is highly recommended for this session. It is not possible to have 100% breach-proof information systems. The question is not whether there will be a breach at your institution, but rather – will you and your colleagues be ready when it does occur? What should a strategic response management framework entail? Who should be involved and to what end? When such incidents occur, who do you communicate with, when and to what end? To what extent should key considerations such as reputational risks, financial risks, privacy and other legal considerations influence the response? The second part of this webinar will be an interactive session where participants will be taken through various escalating breach scenarios that will test your organization’s readiness to respond. Are you ready to respond? Join us and find out. Sustainable procurement is becoming a higher priority at institutions. Now procurement managers are expected to take their procurement beyond the buy, to include social, ethical, environmental and economic impact. Leaders are moving beyond transactional supplier relationships to supplier capacity building and engagement. Join us for this informative, practical and interactive webinar with sustainable procurement leaders at SFU and McGill. Hear the stories of how they engaged different institutional members, developed their sustainable procurement plan, set priorities, and are embedding social and environmental impact into their sourcing mandates. Procurement leaders will discuss the drivers, successes, benefits, challenges and lessons learned. They will share their future plans and discuss the role of students, faculty and external partners. This webinar is the first in the new Social Purpose Administration and Finance Webinar Series, brought to you by the McConnell Foundation and CAUBO. More information on the Social Purpose Administration and Finance project is available at this link. Infrastructure for Canadian Communities. Since the launch of the white paper, she has been helping McConnell and CAUBO advance social purpose administration and finance within the post-secondary sector. She is also a nationally recognized independent consultant and thought leader advising business, government, industry and professional associations on strategies to accelerate social and environmental innovation in Canada. She specializes in sustainable governance, finance, risk management and procurement. She won an award as the top corporate social responsibility consultant in Canada in 2015 for her impacts. Mary joined Simon Fraser University in 2012 and is the Director of Financial Operations. Her responsibilities include leadership of Procurement Services, Accounts Payable and Payroll. Mary has extensive experience in procurement and supply chain management in both the private and public sectors, including senior positions in high tech manufacturing, health care, government, and higher education. Mary holds an MBA and has earned professional credentials in both Canada (CSCMP) and the US (CPM). She was formerly Executive Director of Education for the Purchasing Management Association of Canada (now the Supply Chain Management Association of Canada) and President of the Canadian Purchasing Research Foundation. Stéphanie is guiding McGill University’s efforts to develop a more sustainable supply chain, taking account of social, environmental and ethical principles. Together with the University’s Sustainable Procurement Core Team, a diversified group of stakeholders representing administration staff, faculty and students, she has developed and is overseeing implementation of the University’s first Sustainable Procurement Strategic Plan. Before joining McGill’s Procurement Services, Stéphanie worked for various governmental agencies, international organizations and consulting firms. Universities across Canada continue to grow and expand the many facets of their operations within and outside Canada. These activities could include, for example, development of a foreign recruiting office, execution of foreign research projects, and delivery of programs outside of Canada. When Universities expand their functions outside of Canada they need to consider income tax and indirect tax issues both for the personnel involved in the activity outside of Canada, as well as the institution as a legal entity in Canada, and the foreign country where the activity takes place. This webinar will highlight some of the key income tax and indirect tax issues on transactions that relate to the core operations that have expanded outside of Canada. This includes the compliance requirements within a foreign jurisdiction and planning opportunities to minimize the cost of the expansion for the activities. In addition, the webinar will review the consequential treatment of tax costs incurred in Canada as it relates to the foreign activity. In order to provide firsthand experience on the treatment of key tax issues in a foreign jurisdiction, tax experts from KPMG India will outline the key income tax and GST issues for conducting operations in India. These individuals work closely with KPMG Canada in assisting universities in the management of their tax reporting in Canada. This combined experience will provide a platform of points to consider in both Canada and the foreign jurisdiction when reviewing expansion outside of Canada. Nabin is a partner with KPMG India with over 21 years of experience in tax & regulatory matters. He is based out of New Delhi office and has extensive experience in advising Not for Profit & Educational Institutions in relation to tax & regulatory matters in India. He also works as a tax lead for India Public sector companies helping them navigate through the dynamic tax challenges. Over the last few years, Nabin has worked extensively with foreign charities & universities in relation to their setup, operations and also address complicated issues around Permanent Establishment (PE), Foreign Contribution Regulation Act (FCRA) and Reserve Bank regulations (RBI). He also supports India corporates to address the challenges around the corporate social responsibility (CSR) regulations applicable to Indian companies. Nabin’s clients include Universities, Colleges, Charities, Not for Profit and Corporates. Currently, Jennifer oversees a team across Canada supporting various Universities, Colleges, Technical Institutes, Charities and Not for Profit entities with a full suite of indirect tax advisory and compliance services. Paul is a Bachelor of Commerce graduate of The University of British Columbia. He is a CPA, CA with over thirty years of full-time tax experience, mainly in public practice with Big 4 firms, including five years with the Canada Revenue Agency in the Audit and Appeals Divisions. Paul has been Tax Manager for The University of British Columbia since 2014. Sanjay is a Partner and Member of Institute of Chartered Accountants of India (ICAI), based out of Gurgaon (India). He has an experience over 17 years in advising Clients on matters pertaining to Indirect taxes such as VAT, Service tax, Excise and Customs duty. Sanjay was involved in drafting VAT legislation, conceptualizing the overall administrative framework and in post implementation training to VAT officials in the State of Delhi. Of late, he has been extensively involved in educating large multinationals on the potential impact of GST on their businesses in India. Sanjay is in-charge of Indirect tax compliances of Clients having pan-India presence and has been involved in model structuring options (high seas sale, mergers/demergers) from an indirect tax perspective. Sanjay is the lead indirect tax advisor for many of the leading organizations with a specific emphasis on Universities, not for profit entities and hospitals. Barry utilizes his corporate tax planning skills to develop structural planning solutions for organizations in the public sector that are designed to optimize their position from an income tax, indirect tax and financing perspective. Barry is the lead tax service provider for many of the leading public sector organizations in Canada. Come hear from CANARIE’s President and CEO, Jim Ghadbane on October 16th at 1 pm ET. Managing and protecting data, and evolving the digital research infrastructure required to move, store, process and reuse these data, continues to present challenges for Canada’s higher education communities. The recent $572.5M “Harnessing Big Data” federal investment in Budget 2018 is an indication of the federal government’s focus on this issue. Changes to the EU’s General Data Protection Regulations (GDPR) and how they impact universities. The evolution of the funding and service delivery ecosystem, provincially, federally, and institutionally and what it could mean for your institution. For over 25 years, CANARIE’s has focused on strengthening Canadian leadership in science and technology by delivering digital infrastructure to support world-class research and innovation. Through its recent mandate renewal proposal, CANARIE is focussing on cyber-security initiatives, among others, in order to support the research enterprise in Canada. The CAUBO Tax webinar will feature Barry Travers and Jennifer Boychuk, Tax Partners with KPMG, who will review the key issues that have been the focal point of CRA audits from both a GST/HST/QST and Income Tax perspective over the past year. The team will also address the CRA’s new initiative to review the charitable purpose activities being undertaken by Registered Charities. The KPMG team will also take the opportunity to review and discuss some of the interesting issues arising from questions that have been submitted by CAUBO members to the CAUBO Tax Hotline over the past 12 months. Barry is a Partner and the National Leader of the Public Sector Tax Practice, and is based in the Bay Adelaide Centre office in Toronto. Barry was admitted as a partner in our Halifax office in 1992 and was the Partner-in-Charge of the Atlantic Canada Regional Indirect Tax Practice prior to his transfer to develop the overall Regions tax practice in Western Canada which took place in September 1997. 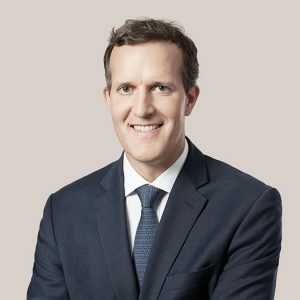 Barry also acted as Business Unit Leader for the Tax Practice in Regions West until October, 2015 when he moved to the Toronto office to take up his current role as National Tax Leader for Public Sector Tax. Jennifer is a Partner with KPMG LLP’s Indirect Tax practice, as part of the National Public Sector Tax group. Jennifer’s vast experience in the public sector environment and knowledge of the indirect tax issues impacting these organizations allows her to provide comprehensive support to the organizations as a whole. This includes advising on complex technical issues, identifying key tax risks and significant indirect tax savings, and performing Indirect Tax training to organizations to ensure compliance with legislative changes. In a two-part format we will explore a high level summary of the CAUBO CUCCIO cyber-security report and then discuss progress being made by your peers with regard to implementing the recommendations. James G (Jim) Cranston’s background consists of two distinct professional experiences: Management Consulting (1975-2001 and 2009-present), primarily in the private sector and Executive Responsibility as a Chief Information Officer at Simon Fraser University (2001-2009). The IT field consulting work included: system feasibility studies, user requirement definition, business case analysis, RFP preparation, evaluation and package selection, project management, system audits, change management and overall IT planning. While CIO at SFU, then a newly created CIO position, he was accountable for network, telecommunications and infrastructure, ERP and other administrative systems, e-Learning, research support and IT security. Ted is a seasoned IT executive with twenty-five years of experience as the CIO in large, complex, research-intensive universities including UBC and Cornell. He has led major transformational initiatives in organizational change, infrastructure management, information systems, IT security, and strategic visioning. Ted has specific, relevant, and recent experience with contemporary practices in Cyber/IT security. While at Cornell he reported annually to the Audit Committee of the Board of Trustees on the university’s track record, challenges, and strategy for managing the risks associated with Cyber/IT security. He created the institution’s first Chief Information Security Officer (CISO) position, made the position part of his senior management team, and worked closely with the CISO to develop and adjust Cornell’s Cyber/IT security posture. He chaired the committee charged with institutional oversight in this area, which members included senior staff from risk management, internal audit, and legal counsel. The severity and frequency of cyber-attacks is increasing. Today’s attackers are malicious, organized, sophisticated, stealthy, and well-resourced. The impact of a breach involves both qualitative (reputational) and quantitative (financial) factors, with remediation costs ranging from tens of thousands to many millions of dollars. Collaboratively CAUBO and CUCCIO produced the CYBER-SECURITY IN A UNIVERSITY SETTING: Materials to Assist Board Members and Senior Executives Provide Oversight on Cyber-Security Matters report, released in December 2016. The report provides a series of recommendations centred around four pillars, Prepare, Prevent, Respond and Improve. The recommendations are comprehensive and address needs around people, processes and resources. The authors of the report will provide the summary on April 19 and members from both CAUBO and CUCCIO will share their stories of implementing these recommendations at their institutions on April 26. We will introduce some very simple yet effective Lean concepts that can have a huge impact on operations. Would you like to save hundreds of hours a week? How about over $200,000? All it takes is about $800 and the willingness to make a difference. Small improvements can go a surprisingly long way. After this presentation, you will be armed with the building blocks to make what may have seemed impossible, a reality. Jarrod will explain some of the Lean methodologies used to achieve impressive saving with a challenging staff scheduling issue and client service challenge. The scenario – Scheduling over 80 employees, who on average have 45 days off a year, across seven different locations. Constant staff shortages, often with little or no notice lead to deviations from standard operating procedures and clients see a decrease in quality as employees struggle to manage the work. Managers have to constantly reassign duties as everyday three or more staff are not present. Join this webinar to learn how McGill created a workable solution that increases efficiency while making their clients happier. The speakers will discuss how the project team was able to implement expanded adoption of p-card use with integration to the accounts payable system. These efforts produced a win-win scenario: Services were enhanced with faster and easier reconciliation processes, costs were reduced due to efficiency gains, and revenue increased through enhanced p-card system rebates. Learn more about how this successful Q&P award winning project was implemented and managed. The University of Toronto is constantly working to ensure operational excellence through constant innovation. Learn about some of their work by exploring the Facilities and Services Invoice Workflow Project where the team set out to optimize its accounts payable processes and increase savings and efficiencies. They achieved these objectives by identifying, developing and implementing an innovative solution that meets the University’s requirements. While the solution is SAP-centric, the concept is transferable, scalable and can be put to use by other institutions. The webinar will discuss how the project team was able to implement an SAP-centric solution that automated the department’s manual accounts payable process totaling approximately 25,000 invoices per year taking into consideration the university’s complex business processes and diverse vendor community. Find out how F&S was able to implement a highly flexible Accounts Payable solution that significantly increased productivity of over 100 staff, enhanced internal controls, improved transparency and expedited invoice payment generating annual savings of over $200,000. The speakers will give an overview of the project – what prompted the need for change, how they identified and implemented the solution, the unique features of the system and lessons learned throughout the process. Apart from the initiative’s productivity and quality impact, the transferability potential and other transformative aspects of this award-winning project will also be highlighted.